When Mae Borowski returns home to Possum Springs, she’s hoping to reconnect with friends and for life to return to how it used to be. Mae’s had a rough go of things, having recently dropped out of college, and on top of that she’ll soon discover that her home town and friends have changed and grown up in her absence. Night in the Woods is a game about the ups and downs of life. It expertly offers a good balance of social and political commentary, while also just being a story about a group of friends enjoying the little things. Night in the Woods follows Mae Borowski’s day-to-day life after she moves back to Possum Springs. Her old room in her parent’s house is just as she left it, that cranky neighbor still hates her, people in town still remember her for that one embarrassing thing she did in high school, and her best friends are just a few blocks down the road. But as things stay the same, so too do they change. As the mining industry collapses Possum Springs has found itself on hard times and Mae’s friends have now moved on to jobs and actual adult responsibilities. In many ways Mae is able to reconnect with her old friends and recapture much of what she loved about her home town, and in other cases, it’s life moving forward without her that can prove to be too much for her own mental stability. There’s a bigger story at play in Night in the Woods that you’ll eventually reach, one that dives into ghosts and other mysterious goings on within Possum Springs, but much of the game instead puts the focus on Mae’s relationship with her friends and family. Some days that might mean doing crimes with Gregg, going to the mall with Bea, or getting the whole crew together for band practice. The result are scenes in which Mae and friends have fun reminiscing about old times, enjoy above-average pizza, party the night away, and sometimes even discuss some serious subject matter. Ultimately, Mae and her friends are all facing many of the same issues any person in their 20s might resonate with. Gregg and Angus are in a relationship that the world isn’t always welcoming of, Bea is stuck trying to essentially run the family business, and Mae is back home and completely aimless. All of this is supported by excellent writing that’s often funny, sarcastic, and at times poignant. One minute you’ll laugh hysterically at Gregg’s antics and the next you’ll be reaching for the tissues. Mae’s day-to-day activities play out like an interactive story with some light platforming involved. 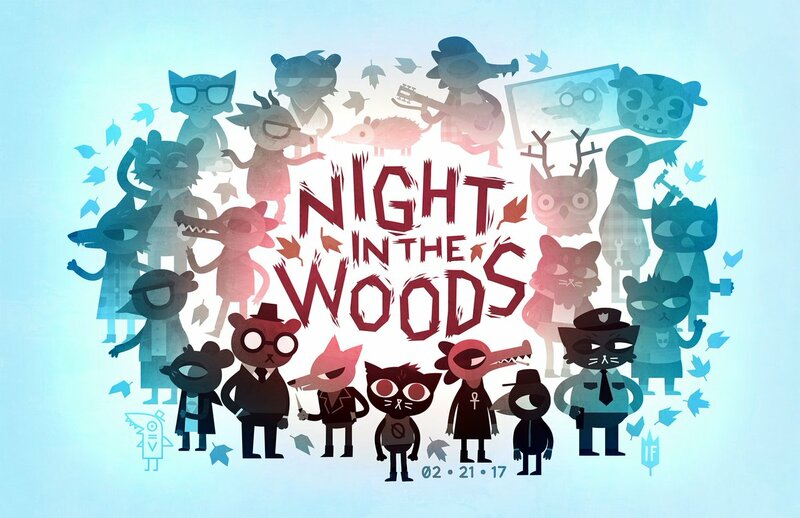 There are occasional sequences where things will transition to a more traditional gameplay section (guitar hero style mini-game at band practice, smashing things with a baseball bat, some platforming dream sequences), but much of Night in the Woods is about giving you time to just live in Possum Springs. The small town is worth exploring and its residents are worth getting to know. 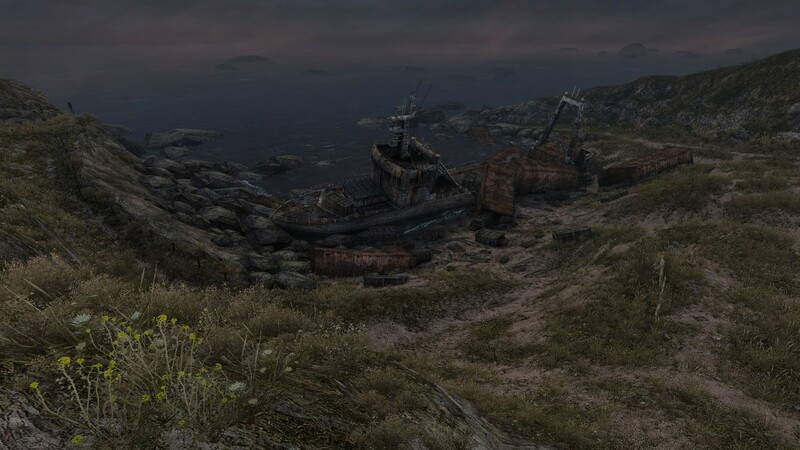 I found myself really connecting with a lot of the characters I met and appreciating just how much detail went into each location. It should also be noted just how different any two playthroughs can be. You’re often given the choice to hang out with Bea or Gregg, which means there’s a handful of scenes you won’t be able to see in a single playthrough. Night in the Woods culminates in some revelations made in regards to some of the stranger things happening within Possum Springs. It’s an interesting contrast to almost everything leading up to it and ultimately delivers an interesting message that, I think, resonates with much of what Mae’s character is dealing with. Night in the Woods is unafraid to embrace a wealth of issues that young people face in their daily lives. There’s still fun to be had, parties to attend, and songs to jam out to, but it’s also about depression, anxiety, moving on, and cherishing the things that you do have. Night in the Woods delivers a powerful message that resonated with me in ways I wasn’t expecting or prepared for. Glad to see a game cover many of the topics that this game does.